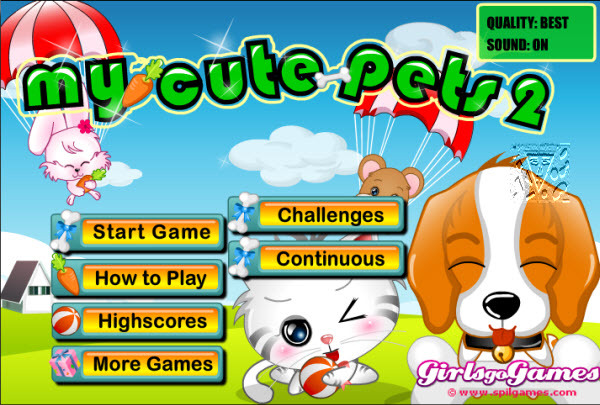 Description: How long can you keep your cute pets--the kitten, puppy, hamster, and bunny--happy? How to play: 1. Select the item that your pet wants from the bottom of the screen with your mouse. 2. Holding the button, move the mouse in the direction of the arrows until the energy bar is full.